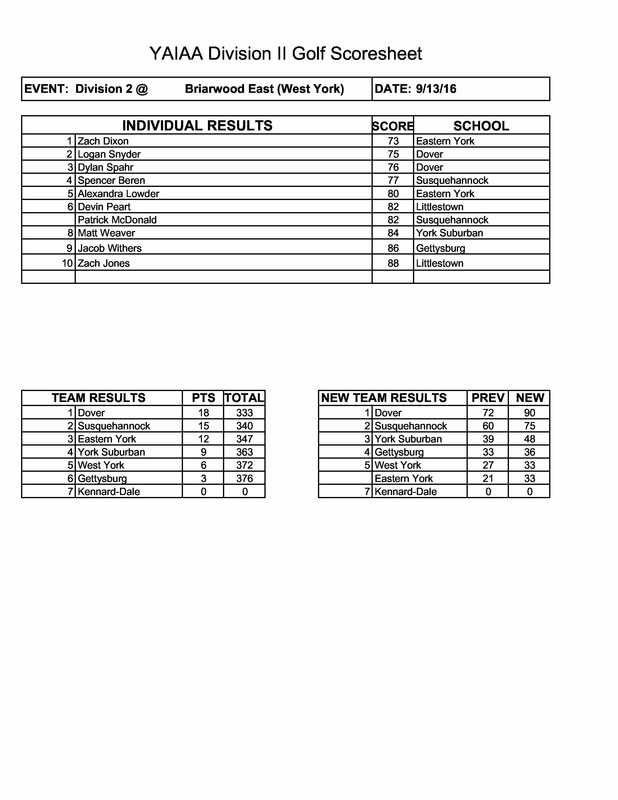 Broadfording at Mercersburg Academy, at Whitetail Golf Course, 4 p.m.
1. 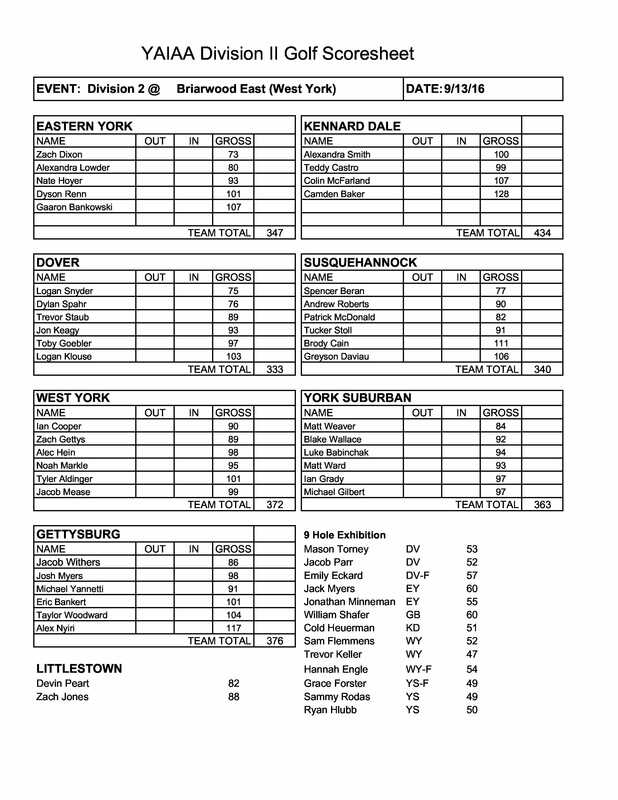 Manheim Township (302) — Trey Kuntz, 72. Sam Beauregard, 76. Tommy Mann, 76. Jack Marchant, 78. , . 2. Hempfield (324) — Tyler Wassell, 79. Josh Backes, 80. Austin Glass, 82. Cory Peck, 83. , . 3. Warwick (337) — Brock Faasnacht, 79. Justin Hertzog, 85. Mason Wills, 86. Kyle Gibble, 87. , . 4. Penn Manor (357) — Logan Hess, 83. Allison Appleton, 82. Conner Black, 96. Corey Rineer, 96. , . 5. Conestoga Valley (360) — Owen Miller, 83. Noel Veitch, 87. David Formica, 88. Annie Shand, 102. , . 6. Cedar Crest (409) — Nolan Hoover, 88. Adam Hartman, 98. Willy Earp, 111. Skylar Hanford, 112. , . Capitol Division match, at Bishop McDevitt, at Capitol Country Club, 1:30 p.m.
Dover wins Division II match at Briarwood Country Club. 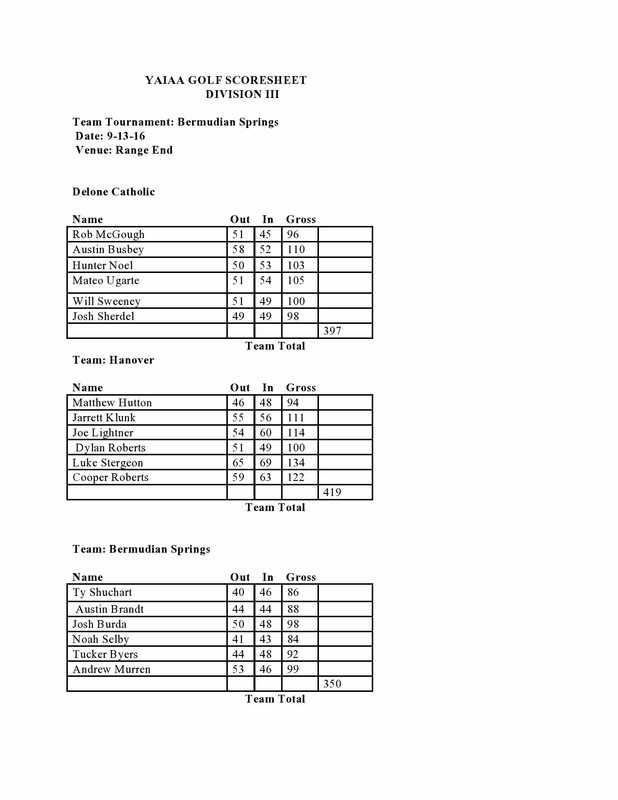 Eastern York's Zach Dixon wins with a 73. Click here for full results. 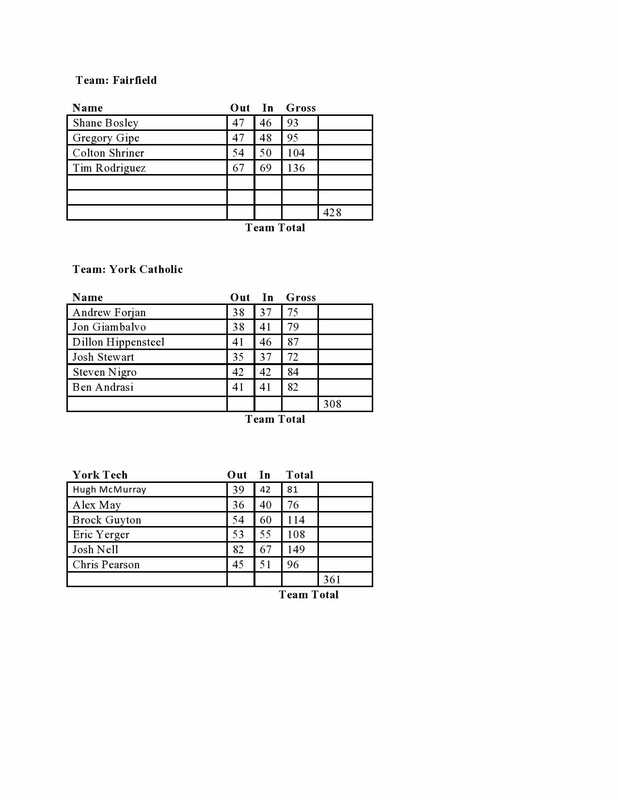 York Catholic wins Division III match at Range End Golf Course behind Josh Stewart's winning score of 72. - Click here for results.